While our parents probably can’t believe it, artists such as Queen and Elton John are becoming more like old legends than the thriving rock stars they once were. As their songs become classics and the artists age, the nostalgia surrounding these singers prompts Hollywood to produce movies such as Bohemian Rhapsody (2018) and Rocketman (2019). The lure behind these types of movies revolves around the feeling of the “good old days”, when the American dream seemed like it offerd anyone the opportunity to become a rock star. Filled with ’70s and ’80s pop culture references and costumes, these visual effects help add to the “blast from the past” experience for audiences. Bohemian Rhapsody and Rocketman become so popular because they appeal to audiences both young and old. Generation X adults grew up listening to these artists on the radio or even saw them in concert at some point. For Millennials and Generation Z, they grew up with their parents playing them the classic hits these artists produced. While some people enjoy seeing their idols on the big screen, other people believe biopics of old rock stars is a doomed genre. A Netflix original film The Dirt, a biopic depicting the wild lifestyle of Mötley Crüe, just dropped on March 22 and only received a 43% on Rotten Tomatoes. Rocketman is predicted to fare better than The Dirt, and have success similar to Bohemian Rhapsody. Whether or not you find yourself a fan of these music legends’ biopics, they bring a new perspective of the rock stars people loved. 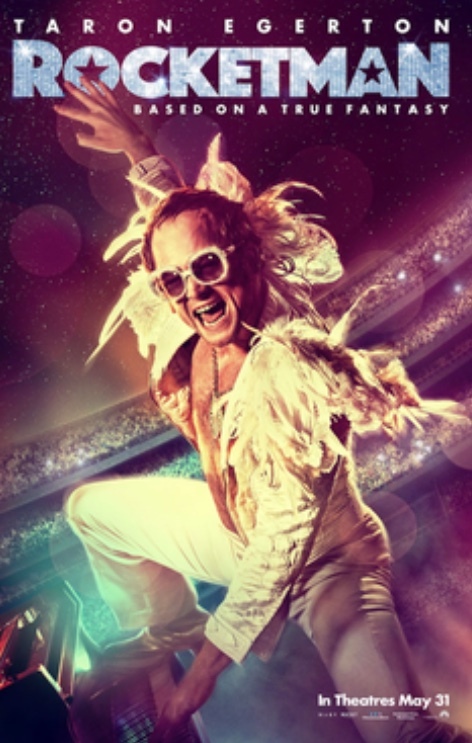 Rocketman is in theaters everywhere on May 31.